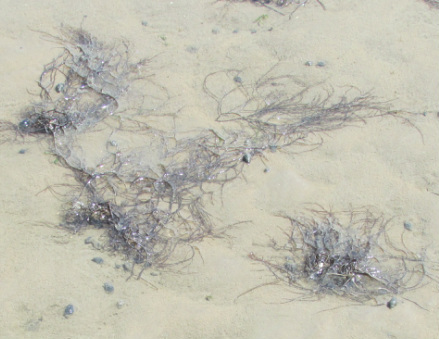 Gracilaria seen in the mud flats at low tide. Need a review of the generalized plant life cycle? Click here!